The RAM-235U consists of a double u-bolt base with 1.5" diameter ball and two stainless steel u-bolts. 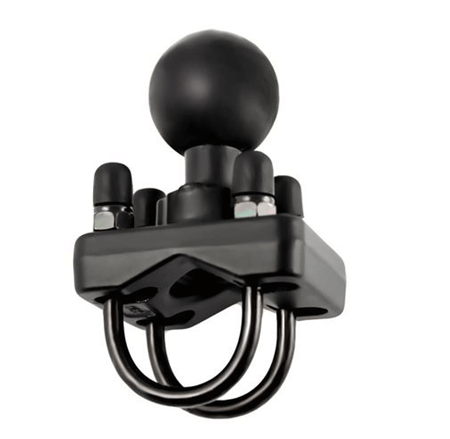 The RAM-235U by RAM Mounts consists of a double u-bolt base with 1.5" diameter ball and two stainless steel u-bolts. The double u-bolt base will accommodate rails from 0.75" to 1.25" in diameter.